It’s once again the season of the year where the sun shines so bright and the temperature is so high that it feels like the only thing that could relax us is a swim on cold water. There’s no better way to enjoy the pool season than ensuring that the water where we are about to swim is free of dirt or any form of debris. 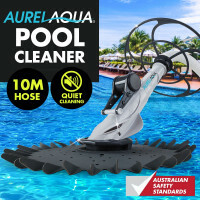 Suitable for in-ground as well as above-ground pools, the pool cleaners from AurelAqua and Zodiac that are being offered at Mytopia will surely make your life easier. Clean your pool in a breeze. Aurelaqua blue as well as grey/white cleaners are user friendly and highly efficient. With hydro-dynamic circular collar and increased Soft Silicon Skirt anti-stick suction power, algae, dirt and debris will be removed from the surfaces in an instant. Hours of family fun in a clear sparkling swimming pool will be achieved as the products are also designed with a Baracuda Diaphragm to make it more effective in vacuuming dirt from concrete, quartzon, tile, fibreglass and pebblecrete-made pool. If you are looking for an ultimate plug and play cleaning solution, then the Zodiac Pool Cleaners are the ones for you. 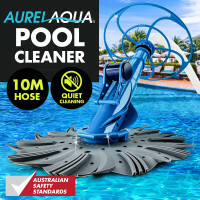 Available in three models, these portable cleaners are equipped with advanced technologies, such as the flex power turbine, to boost water flow, optimise performance and ensure total pool coverage. What's more? Some cleaners come with a cyclonic suction leaf catcher for easy disposal of debris and dirt. Aside from these cleaners, Mytopia is a home to swimming pool covers and ladders to help you and your family enjoy sparkling blue pool water. Also being offered at the store are the high quality and classy style Inflatable Spas to help you have a better quality time with your loved ones. What are you waiting for? Have a memorable pool season. 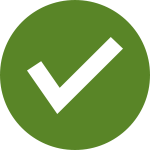 Purchase any of the pool cleaners and 12-month-warranty on us!